Peel mango and cut flesh away from stone, add to blender. 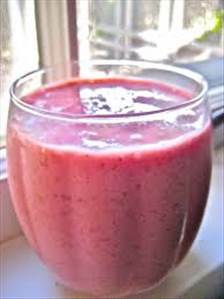 There are 270 calories in 1 serving of Mango Raspberry Coconut Smoothie. Calorie Breakdown: 27% fat, 60% carbs, 13% prot.